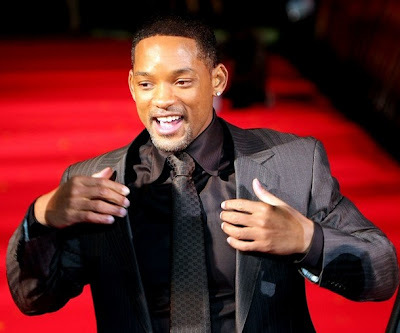 Will Smith to Attend Charlotte Premiere of "Seven Pounds"
I just got the official invitation to attend the red carpet premiere of Gabriele Muccino's Seven Pounds, in Charlotte starring Will Smith, and will have the opportunity to interview Smith on the red carpet. Smith is attending to raise money for the Second Harvest Food Bank, where he will donate 300 turkeys for the holiday season. Also in attendance will be Carolina Panthers players Steve Smith and Julius Peppers, as well as NASCAR legend Richard Petty. The event will take place on Thursday, December 11. The red carpet event is open to the public and will begin at 6:00 PM, followed by a special presentation at 6:30. This is my first big celebrity interview so I'm pretty excited. Wish me luck! That is fabulous, Matthew. And I would love to hear all about the evening, not just about the film. You'll surely get to meet some famous and interesting people. Have a great night! Tell him I hate his $200 million guts! Woot!!! Good luck and have an awesum tym dude!